ThinkCentre M700 Tiny is an ultra small form factor. It offers mounting solutions, including support for standard VESA mounts and Tiny-in-One configurations – which transform your PC into a space-saving, modular all-in-one. 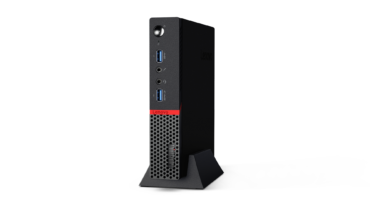 Tiny desktops fit just about anywhere, while still delivering reliable, professional-level performance.